Solidified the structure of the main navigation menus. Implemented much of the coding of individual pages from templates. Rolled out, and made ongoing updates to the site. Implemented the intranet’s search function (Google Mini appliance). I created much of the corporate-level content on the intranet as an employee communication function. The writing is engaging and interesting and includes spotlights of employees, corporate video updates, profiles of different office locations, and internal blogs. 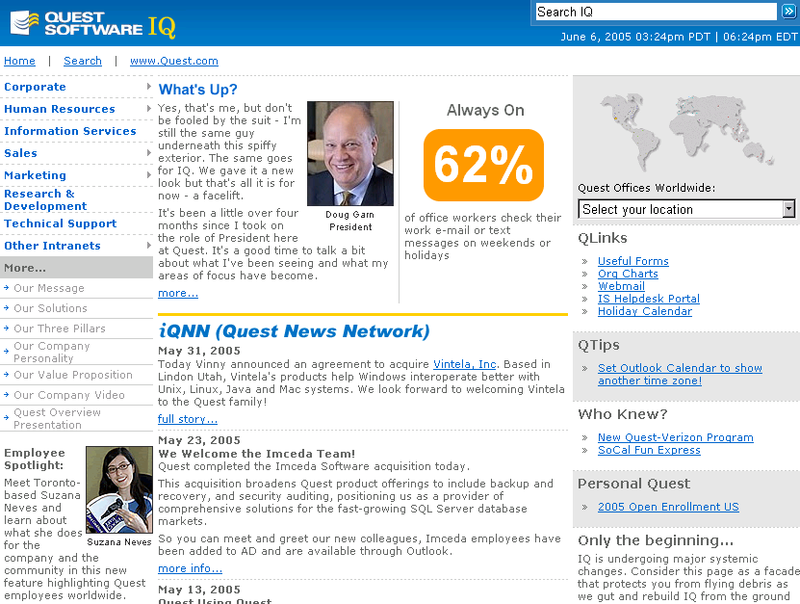 I was the main spokesperson for the intranet and managed requests and enhancements.